Purchasing paint color samples is the easy part, right? How to use new paint color samples can be challenging. What do you paint *on*? Drywall is dusty and heavy. Foam core will warp. And all the other products sold for the purpose of testing paint color are rigid so you’re locked into seeing color on texture of the sample board – not the texture of YOUR walls. 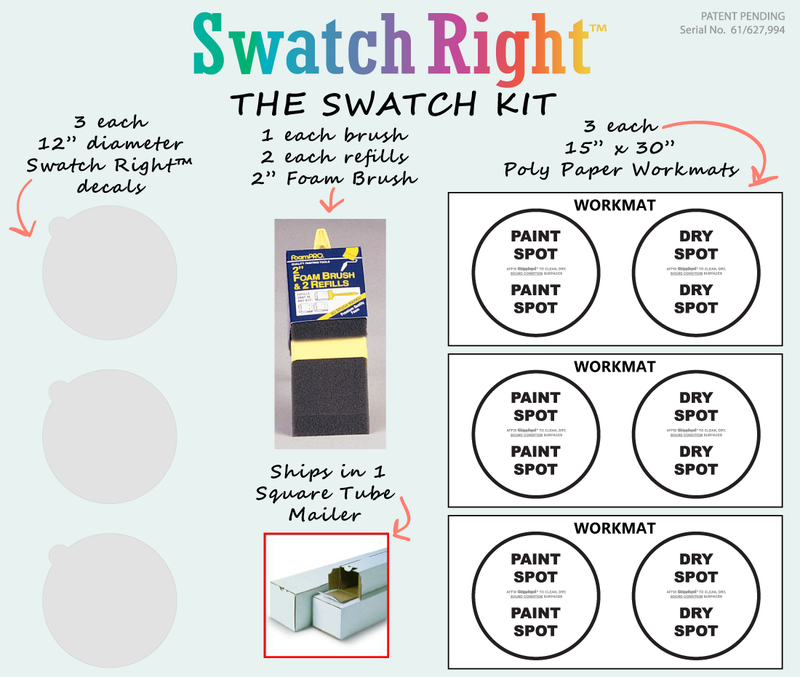 Swatch Right™ is the best tool for paint color samples because Swatch Right™ is a grey paint-peel-and-stick color sample decal with a holder tab. Complete Paint Sample Kit. It’s all in your Swatch Kit! Everything you need to paint up to 3 paint color samples: 3 Swatch Right™ Color Sample Decals •3 Work mats •3 Foam brushes. – Mimics cured paint film. 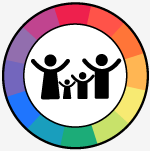 – The ONLY paint color sampling device that is GREY. Its special grey color helps achieve paint color opacity faster. A stark white substrate inhibits color coverage. – The ONLY paint color sampling device with a holder tab. Use tab to stabilize Swatch Right™ when painting so you don’t paint your fingers. Can also use tab as a paint color name/number label. – A decal. The adhesive makes the decal removable and repositionable. – The ONLY paint color sampling device that is flexible and conforms to contours – walls, ceilings, trim dado, inside corners, outside corners – just about anywhere. Another challenge is you have a work area to paint but no way to protect the surface. The work mat from Swatch Right™ is the ideal solution. And then there’s the issue of what to paint *with*? I’ve had clients use all kinds of things like a sock, paper towels, toilet paper and even their fingers! Crazy! That’s why I included a foam brush with two refills in the Swatch Kit. 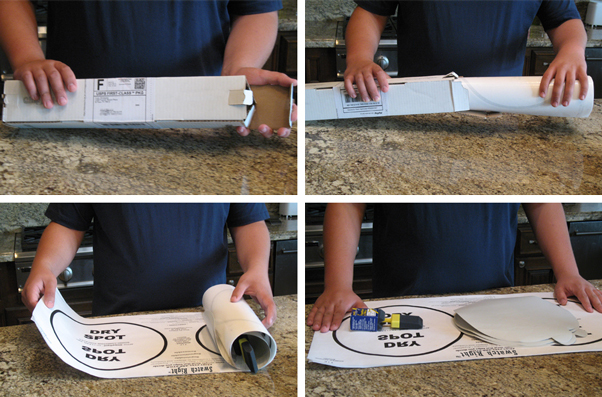 1 Square Mailing Tube for shipping. Can reuse for storage. This is awesome! Congrats on the launch, and I can’t wait to try this out! It’s a brilliant idea!!! Congratulations! Can’t wait to try them!!! Now that’s unique. Congratulations on the launch! I can’t wait to see it. REALLY good idea.